I would like to thank the publishers, Hodder and Stoughton for my copy of this book via bookbridgr in return for an honest review. Tom Hope had the perfect family life. He adored his wife and two daughters more than anything in the world. He had a great job as a television producer and wanted for nothing. That was until, one phone call changed his life forever. His wife has been in a fatal car accident and he is left to raise his two daughters alone. Unable to cope, Tom goes into meltdown, leaving his mother-in-law, Linda to pick up the pieces and raise his daughters. When Linda reaches breaking point, she decides to go and visit her friend in Australia, a trip that she has been putting off for a very long time, she leaves Tom to learn how to be the best Dad that he can be. I've never read anything by Mike Gayle before this, but I am itching to go to Amazon and fill my kindle up with his books. I really didn't know what to expect when I started reading this book and I definitely wasn't expecting to fell the rollercoaster of emotions that I felt as the story progressed. 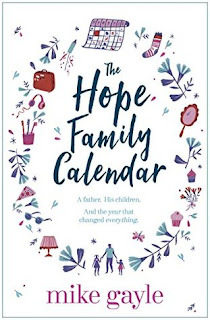 The Hope Family Calendar really makes you stand back and be thankful for everything that you have. It teaches you not to take anything for granted. I loved the characters in this book. Tom was the perfect leading character. I adored how the book switched between to point of view of Tom and Linda. I loved that I was able to get an insight into both characters lives. I liked Linda as a character, but I feel that if the book didn't touch on her point of view from time to time, then I wouldn't have like her for various reasons. That is why I think this book was brilliantly written, because it really shows that there are two sides to every story and to never judge a book by its cover. The characters of Evie and Lola were brilliantly written and I found myself falling more and more in love with the two little girls as the book went on. 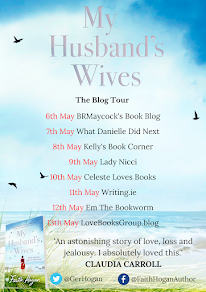 I think that the characters of Fran, Clive and Desi add that something special to the book. The Hope Family Calendar made me laugh and cry. It is both heartwarming and heartbreaking at the same time. A beautiful story, that is so brilliantly written. I am very much looking forward to discovering more of Mike Gayle's writing. I am so glad that I read this book, it's one that I won't forget for a very long time. 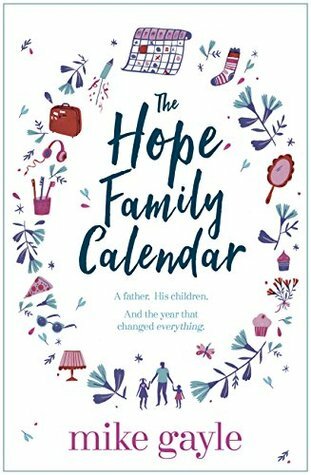 The Hope Family Calendar can be bought on kindle and in hardback here.